For some this might seem overkill, but I'm pretty protective of my pictures. It's not so much losing a cool picture that bothers me as much as losing history, stories, and heritage for the next generation! So with offsite storage figured out, it was time to tackle the mess of hard drives and cords that spilled off the shelves and pooled around the legs of my desk! For years I was having to purchase larger and larger hard drives as I would fill one up and need more room to store all my files. The problem is, as I wanted everything backed up twice, half the files would be on one drive and half on another with their duplicates also strewn across multiple drives. Yes, everything was safe, but it was messy, confusing, and would take hours to back everything up each time I cleared off my computer! 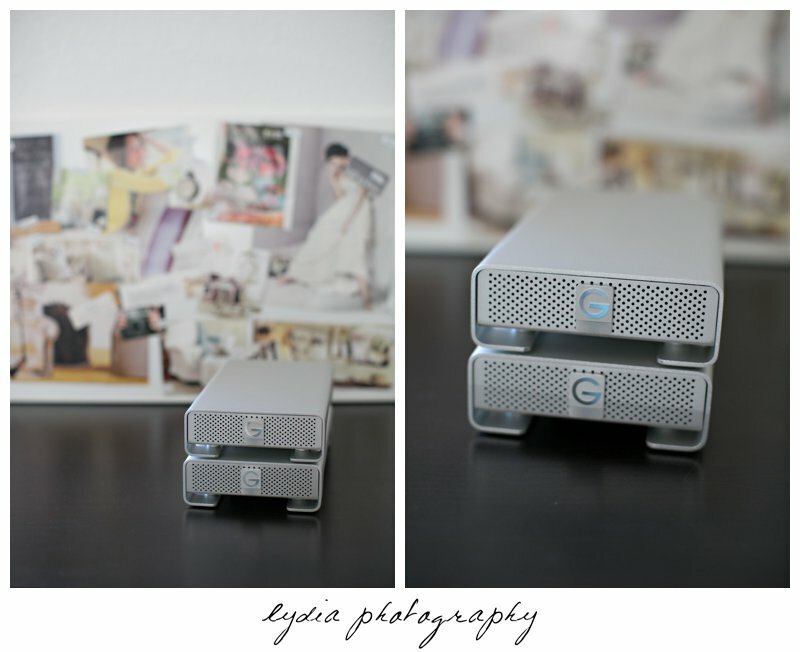 I knew I needed to make a change for my own sanity's sake, so after much research, I decided to make the investment in 4TB G-Drives by G-Technology. 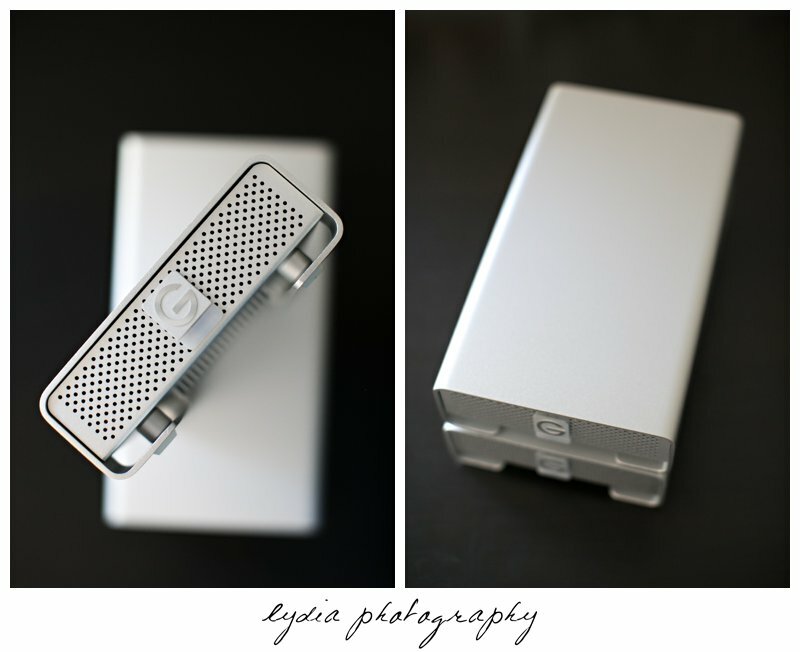 They're built to last, have plenty of storage space, and are even kinda pretty for a hard drive! Easy to use, I just plugged both drives into my Mac and used Disk Utility to set up a Raid 1 so a copy of each file would be on both hard drives. This way if one hard drive gets damaged or corrupt, all the files is still be safe on the other drive! I would just need to buy a new drive, plug it in, and have the system copy everything over onto the new drive to be back to normal! So while I still have a small, travel hard drive for my Time Machine backups (a must for Mac users, let me tell you it has saved my life! ), everything, I mean everything fits on these two pretty drives! It took awhile, but it's such a relief to have everything finally figured out and in place! So if you have any questions about my offsite or onsite backup systems, just leave me a note in the comments!